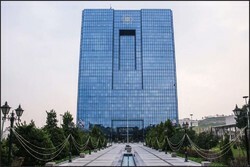 TEHRAN- An Iranian banking delegation will soon leave Tehran for Tokyo as accorded in a meeting between the Governor of the Central Bank of Iran (CBI) Abdolnaser Hemmati and Japan’s Ambassador to Tehran Mitsugu Saito, the portal of CBI reported on Wednesday. 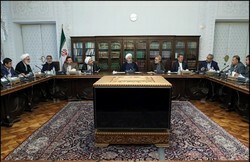 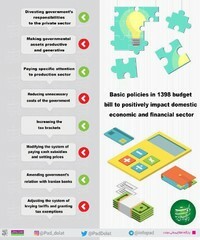 TEHRAN- Despite the expressed concerns about a probable rampant inflation and high volume of liquidity in the country, the two indices are presently kept under control, the Governor of the Central Bank of Iran (CBI) announced after his meeting with the cabinet on Wednesday, IRNA reported. 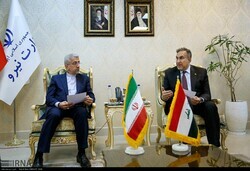 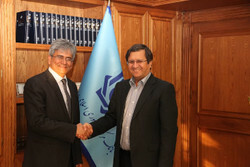 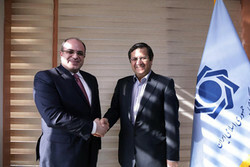 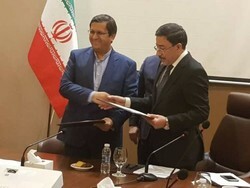 TEHRAN- The banking mechanism between Iran and India is ready for operation, Indian Ambassador to Iran Saurabh Kumar announced, saying that banking and trade activities will be started between the two sides in the next few days. 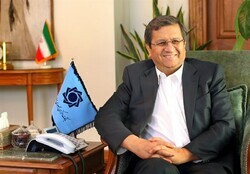 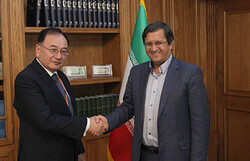 TEHRAN – The Chinese Ambassador to Tehran Pang Sen expressed his country’s willingness for expansion of long-term economic relations with Iran, IRIB reported. 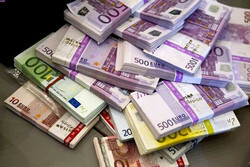 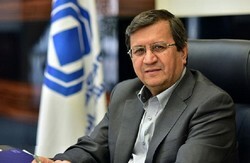 TEHRAN – Governor of the Central Bank of Iran (CBI) announced on Saturday that a new financial channel is soon to be opened between Iran and the EU nations, Tasnim news agency reported. 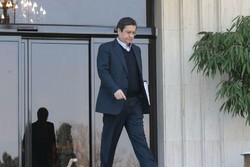 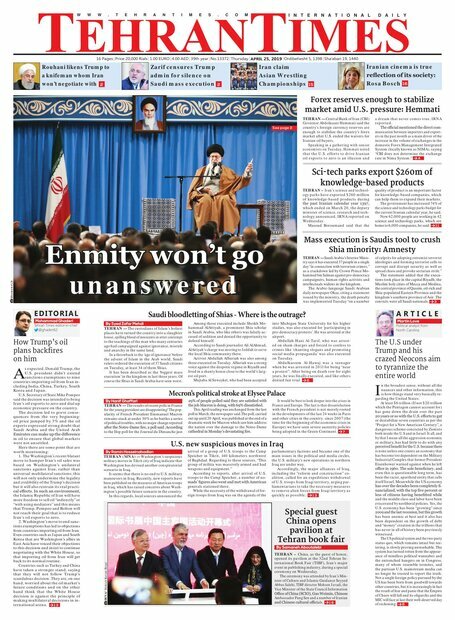 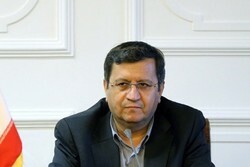 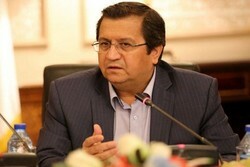 TEHRAN- “Within the next few weeks, the procedure of injecting non-oil exports revenues into the foreign exchange secondary market will be lubricated to supply the required forex sources for imports,” the Public Relations Department of the Central Bank of Iran (CBI) quoted the bank’s Governor Abdolnaser Hemmati as saying on Saturday. 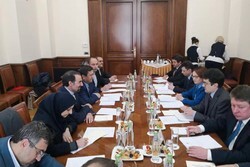 TEHRAN- In a meeting between Iranian Central Bank Governor Abdolnaser Hemmati and his Russian counterpart Elvira Nabiullina in Moscow on Thursday, the two sides stressed the need for the expansion of banking cooperation between Iran and Russia, IRNA reported. 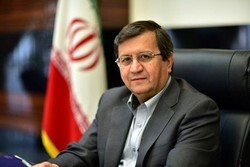 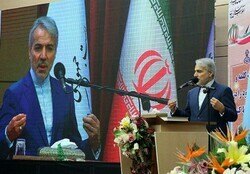 TEHRAN- Governor of Central Bank of Iran (CBI) Abdolnaser Hemmati announced that $13 billion has been allocated to supply basic goods required in the country, Mehr news agency reported on Saturday.